When you think of moving house, there are so many factors that one needs to deal with and foremost among them is deciding which Castelnau removal service to hire. Hiring a professional service is a good idea, not only because you don’t have a van or a lorry to transport goods in, but also because you probably don’t have the expertise and equipments that are essential for packing and handling heavy and fragile items. A good removals service will provide you with all this and more. Of course, professional expertise will come at a price, but the security of your belongings and the peace of mind that comes with it justify the means. 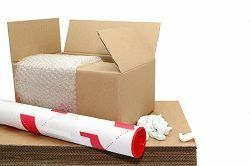 If you are looking for a removals service in Castelnau, SW13 that will provide you service that is worth your money, you need to look no further than Moving Service. We offer you a range of tailor made packages that will cover any aspect of moving home. Not only that, but our services come at a competitive price that is hard to beat, especially in Castelnau. So save yourself some time and effort and give us a call immediately at 020 8746 4402 to know more about our services. The area lies in the Borough of Richmond upon Thames in southwest London, under the postcode district of SW13. This area is well connected to the city, the nearest underground stations being Ravenscourt Park, Stamford Brook, Turnham Green and Hammersmith on the District line and Baron’s Court on the Picaddily line. Nearest Overground stations in the area include Barnes, Barnes Bridge, Chiswick, Shepherd’s Bush and Mortlake. The area is known for its spacious country living lifestyle with easy connectivity to city life. Most properties in this area are upscale semidetached Georgian homes but recently there has been an upcoming surge of flat apartments in the area too. There are a number of primary and secondary schools nearby, along with other amenities such as shopping, leisure services, restaurants and pubs, etc. Residents here enjoy a quiet social life away from the hectic hub of the city. Whether you are moving to Castelnau, SW13 across the street or across the country, Moving Service will provide you with solutions to all your house removal problems. Owing to our years of experience in home removals, we are proud to say that we have improved our services to provide you with the ultimate moving experience. Because different people will have different moving needs, we offer a comprehensive but flexible range of removals services in Castelnau to choose from, including vehicle and crew for hire. All our employees are professionally trained in handling packaging details and transport crisis and our transport vehicles are fitted with GPS trackers to ensure that the move occurs securely. We also have a dedicated and friendly team at customer service that will assist you through all the steps of booking and confirming our services. We know that moving houses in Castelnau can be a pricey affair, so we try to keep the expenses at our end reasonable. Our excellent service come at extremely affordable prices that won’t make a big hole in your pocket and our customer service staff will advise you on how to combine our offers to get the best deal. You have no obligation to use our services, so why not give us a call at 020 8746 4402 and consult one of our staff members to see what we can offer to your moving needs. The movers from Moving Service arrived to my flat in Castelnau and proceeded to get to work immediately, even though the weather was a bit damp, that did not slow them up. Effective, efficient and affordable, I recommend this home removal company to one and all.